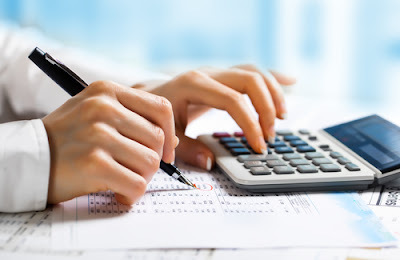 How To Do Basic Accounting Bookeeping For Your Business? * the collection and organization of information related to the financial transactions of a business. * the recording and reporting of income and expenses with the objective of understanding them and making a profit. 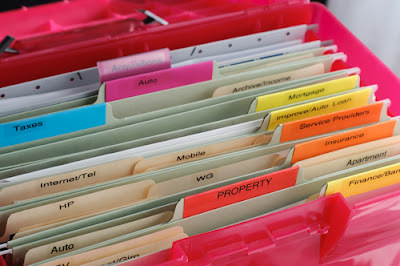 Contrary to what many people believe, the IRS requires no particular method of keeping records for taxation purposes. The only requirement is that the records that are kept accurately reflect the income and expenditures of a business. It is also important to note that there be some method that accurately reports the status of individual accounts doing business with a firm. Largely depending on the size of a business and the quantity of financial transactions that a business engages in, it should be determined whether it will maintain its accounting records with a manual system or rely on an accounting program. Regardless of the method used, there are three steps to keeping the accounting records of a business. 1, Maintain records of all financial transactions of a business. This includes receipts and other acceptable records of expenditures by the business, Source documents of financial transactions should show amounts of the transactions, date of transaction, and other relevant information. It is from these transactions that the person responsible for creation of reports draw their data. It is important to note that nowhere does the law require that a particular system of accounting be used for a business. It can be as sophisticated as a cash register hooked up to a massive computer network or as simple as paper stubs in a cigar box. What is important is that the records are maintained accurately. For example, if a business is very small, a bare-bones approach might be very fitting. On the other hand, as a business grows, it might be better suited to have an automated system. 2. Keep summaries of all income and expenditures on a periodic basis, whether daily, weekly, or monthly. From the basic financial source documents the summaries are compiled. These summaries are called ledgers. Ledgers show the history of financial transactions for a business, including revenues, expenditures, and anything else related to business operations. These transactions are recorded according to category and date. The posting of these transactions to the ledgers should be done on a periodic basis. This might be daily, weekly, or monthly, depending largely on the amounts of sales and purchases, as well as how detailed you might want your records to be. Generally speaking, the more often your financial transactions take place, the more often you will want to post to your ledgers. In the case of a retail store, for example, there might be hundreds of transactions in a given day, which would call for daily posting. It's in situations like these that an automated system is called for. If, on the other hand, a business is smaller and the total number of transactions are fewer, a weekly posting, or even one done monthly might be adequate. Fortunately, there are some accounting software packages available on the market today which are not only easy to tailor to individual businesses, but they are also very affordable for even the smallest business. Most of these programs are very intuitive, which makes them easy to use by owners and managers that might not have any familiarity with accounting processes. 3. Create the financial statements of the business to get a picture of profits, losses, and other events to evaluate corrective actions and end results. The ultimate goal of creating any financial records is the creation of financial statements, in particular the income statement, balance sheet, and statement of owners equity. It is these statements that give owners and managers the final word of how a business is doing and where corrective action can be taken. Financial statements bring together all of the information that is gathered in the ledgers. A good way to think of your financial statements is to provide a place where all of the most relevant information about a business is analyzed. For example, to look at the income ledger might provide an owner with a healthy figure. In and of itself, that's great news. 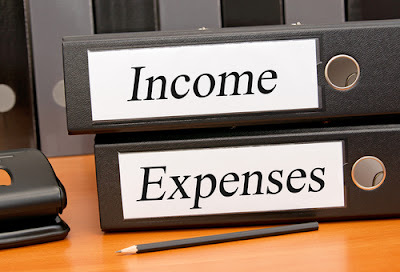 Unfortunately, when you bring both the income figure to the income statement, which also gives the figures for expenditures, a more realistic picture is given. This analysis might show that although you have excellent sales figures, a business might also have expenditures that cancel out all or most of the income, making a business much less profitable, or even operating at a loss. Despite having the totals provided by the financial statements, attention should still be given to the ledgers, which provide information that is not reflected onto the statements. This includes, among other things, an analysis of how long it takes for credit customers to pay you, which can be a detriment to how efficient you operate your business. Any business that intends to operate at a profit should have a system of accounting that accurately reflects how that business is being run. By keeping these records up to date, owners and managers can get feedback on cash flow, profit and loss forecast, and other information that will be relevant to how the business is operating and whether changes need to be made, and in a manner that is timely and relevant.